Walmart maintains one of the most complex supply chains. It is also one of the most efficient. To keep its shelves stocked and customers happy, the retailer relies on countless suppliers. Ensuring mutual success, the suppliers are required to follow On Time In Full (OTIF) guidelines. OTIF guidelines are a set of shipping standards. This system allows the company to reduce the lead times on its flow of goods. It also helps Walmart reduce its warehousing costs. By shrinking its supply chain between suppliers and stores, goods are less likely to go out of stock. This allows Walmart and the supplier to sell more products. The retailer uses OTIF compliance ratings to gauge shipping performance. This measures the supplier’s ability to meet Walmart’s goals. The rating system measures delivery performance. It also notes if every part of the planned shipment arrives. When did Walmart OTIF Compliance Begin? Walmart suppliers have followed delivery compliance guidelines for many years. At first, the system used was called Must Arrive By Date. As online shopping grew, the company sought ways to improve lead times. The result was the introduction of On Time In Full standards in 2017. OTIF guidelines emphasize narrow delivery windows and full orders. What are the 2019 OTIF Compliance Changes? In February 2019, the retailer announced changes to its supplier delivery targets. The updated delivery goals are expected to begin in May 2019. In the past, OTIF compliance was measured as a single metric. Now, there will be two different measurements. On-time deliveries will be one metric. In-full shipments will be the second. "The separate metrics will help suppliers increase their focus on delivering in-full, which we see as a key to continued improvement with in-stocks," Walmart spokesperson Michelle Malashock told Supply Chain Dive. To meet Walmart’s on-time requirement, shipments must arrive within a delivery window. The delivery window will vary from shipper to shipper. Generally, a delivery window will be one or two days. Early or late deliveries will result in penalties against the supplier’s scorecard. Shipments to Walmart’s distribution centers should be 100% in-full. This means they will not be under- or overfilled. As with on-time factors, failure to make in-full delivery can have negative consequences. What OTIF Targets will Shippers Need to Meet? The changes in May will see more pressure put on “in-full” deliveries. This change is meant to reduce the amount of surplus inventory Walmart keeps in back rooms and distribution centers. In terms of delivery, “on-time” performance will also be boosted. The biggest change will fall on full load shippers. The previous goal of 85 percent is increasing to 87 percent. To encourage suppliers to meet their shipping goals, Walmart can impose chargebacks. The chargebacks are 3 percent the value of the shipped goods. 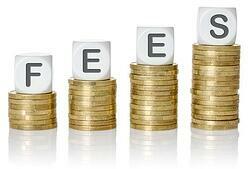 If a delivery is early, the shipper can expect a 3 percent fee on the total value of goods. If it’s late, the shipper can expect a 3 percent fee. If the shipment is short, the shipper can expect a 3 percent charge. And so on. Lead times are key to improving and maintaining OTIF compliance. Walmart’s shipping policy may sound daunting. But there are benefits to meeting the goals. 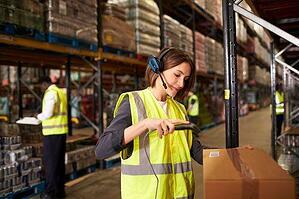 Mastering lead times creates better efficiency for the supplier. It also allows the supplier to maximize the goods they sell. Not all less-than-truckload and full load carriers are equal. This is especially true with OTIF shipments. Due to the time-sensitive nature of retail shipments, many carriers add surcharges. This should not be viewed as a standard practice. Good planning on the carrier’s part will not require additional costs. Furthermore, some carriers will book retail shipments as expedited service. Don’t be fooled into thinking this is a common practice. A great carrier will assist with load planning. They will also help the supplier optimize routes and modes of transportation. Additionally, they should offer a wide range of shipment planning technology and online tracking. Transit times on deliveries can be challenging for retail shipments. This can be especially tricky for long-haul shipments. By positioning inventory closer to consignee locations, shippers can reduce the possibility of encountering delays that can lead to missed delivery windows. 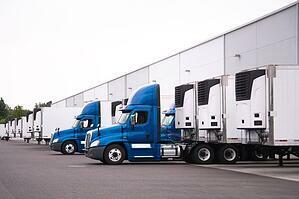 Consider using warehousing services to position freight closer to Walmart distribution centers. Distribution and fulfillment solutions can help with building a great just-in-time delivery strategy! Sometimes, the supplier isn’t responsible for a chargeback. Incorrect scanning or simple mistakes on the buyer’s part can flag potential OTIF failures. Carriers can help in fending off false flags. By maintaining organized records, they can help prove a delivery arrived on-time and in-full. Records can include a signed BOL by the consignee and guard shack tickets. Averitt has helped countless shippers achieve their OTIF goals. Our team offers delivery services tailored for retail compliant shipping. Click here to learn more about our On Time In Full service! If you have any questions regarding Walmart OTIF shipping, please contact our team at retail@averittexpress.com.